Isatori's Flash Point is unlike any other fat burners on the market right now. While most other fat burners and diet pills come in pill or tablet form, Flashpoint comes as a "melt tab", and is referred to as a "sublingual" fat burner. Other diet pills are swallowed, while Flash Point is placed under your tongue, dissolved there, and is then absorbed. Sublingual literally means under the tongue in Latin, and it is a drug administration method where the drugs diffuse into the blood through tissues under the tongue. Sublingual administration has some advantages over oral administration. It is usually faster, and there is less degradation of the drug before entering the bloodstream compared to orally administered drugs. Disclosure: I was contacted by an Isatori representative, and I was asked to test out and review their Flash Point fat burner. Please note, however, no payment or other forms of compensation were received in any way, and you can be sure that this review, like all other reviews on the site, are free from bias and free from manufacturer influence. I received one bottle of Flashpoint (160 tabs). Isatori claims that Flash Point begins working in just 33 seconds. I'm not sure whether this is simply an arbitrary number they picked, or if it's based on some metrics they've taken. Regardless, it starts working FAST, and the name Flash Point is quite appropriate for this fat burner. The key active ingredients in the proprietary blend are caffeine, Phenylethylamine (PEA), Hordenine, Synephrine, Evodiamine, and Yohimbine HCI. Caffeine is a widely used ingredient in fat burners, so it's no surprise to see it here. It is well known as a stimulant and a mild thermogenic ingredient. Most know quite well what caffeine is, so not much more needs to be said here. PEA can be found in foods that we love to eat such as chocolate, and it has been found to help with depression. Synephrine comes from Citrus Aurantium. It is a stimulant with similar properties as caffeine and ephedrine. Although you may hear that Synephrine is an ephedra alternative, with all the weight loss benefits but without the serious side effects, there is still very limited scientific research to backup these sorts of claims. Citrus aurantium contains 5 amines including synephrine, N-methyltyramine, hordenine, octopamine, and tyramine. I have an article on citrus aurantium and synephrine here, that goes in much more detail. Evodiamine comes from the Evodia fruits. 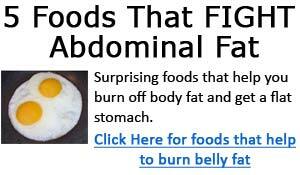 Some animal studies have show it to help lower fat uptake. Evodia fruits are referred to as being a "hot nature" herb in traditional Chinese medicine, and there are some suggestions that Evodiamine works in similar ways as capsaicin from red peppers. There still lacks sustantive of this using human subjects, so the verdict is still out. 1. Planta Med. 2001 Oct;67(7):628-33. Capsaicin-like anti-obese activities of evodiamine from fruits of Evodia rutaecarpa, a vanilloid receptor agonist. Kobayashi Y, Nakano Y, Kizaki M, Hoshikuma K, Yokoo Y, Kamiya T.
Kyowa Hakko Kogyo Co., Ltd., Tsukuba Research Laboratories, 2, Miyukigaoka, Tsukuba-shi, Ibaraki 305-0841, Japan. 2. Does yohimbine act as a slimming drug? Kucio C, Jonderko K, Piskorska D.
Department of Gastroenterology, Silesian School of Medicine, Katowice, Poland.